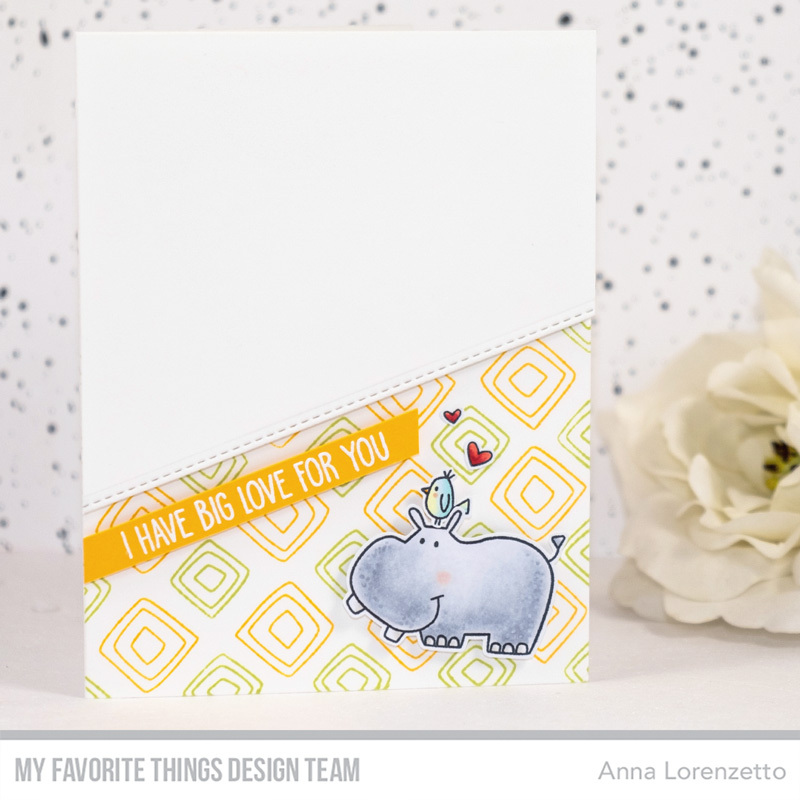 To create this card, I used the geometric retro-inspired squares from the Safari Friends stamp set to create a custom background, stamping them repeatedly directly on my card base with Pineapple and Sour Apple Premium Dye ink. Then, I die-cut a panel using the Stitched Basic Edges 2 Die-namics and foam mounted it over the stamped card base. Next, I stamped the cute animals, colored them with Copic markers and carefully fussy cut them. I heat embossed the sentiment in white on a strip of Lemon Drop card stock and mounted it on my scene along with the funny characters. 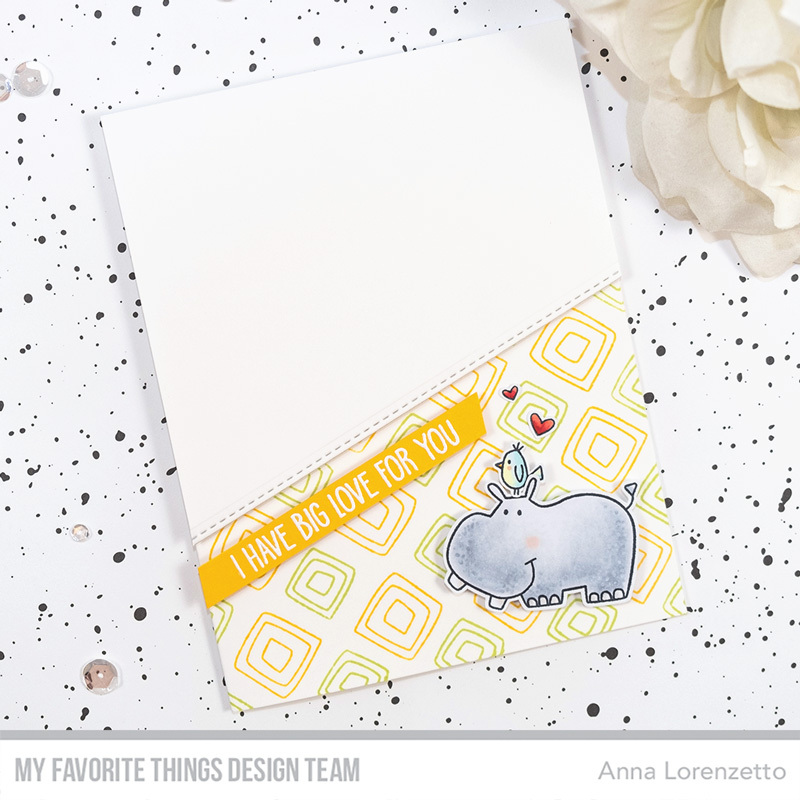 Visit the MFT Challenge and Inspiration Blog for more information about the challenge and more inspirations from the DT.